Let’s talk Game of Thrones. Why is everyone so hard on poor little Sansa? Truth be told, she’s one of my favorite characters. I sort of understand why people don’t like her- she’s made some pretty big mistakes and has done some pretty awful things. But she strikes me as one of the most realistic characters. Because let’s face it, fantasy world or not, a teenage girl is still a teenage girl. I think everyone like’s to think they’d be a badass if they were thrust into the GoT world. A Brienne, a Jaime, a Tyrion, or Ned at the very least. Even Samwell Tarly does some pretty cool stuff while remaining incredibly relatable. 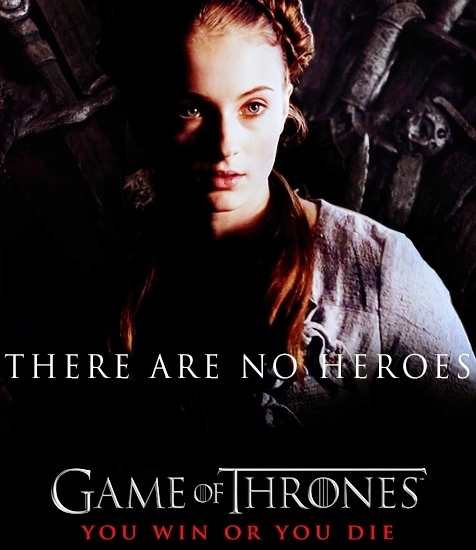 But Sansa…. Sansa starts off annoying, is constantly scared and indecisive, and learns very slowly how the game is played. Isn’t that, however, how most of us would be? Maybe everyone hates on Sansa because in her position, we would be just like her. We wouldn’t be incredibly clever, amazing fighters and tacticians, pure of heart and noble beyond reproach; we would be like Sansa. Stumbling along and barely getting by. 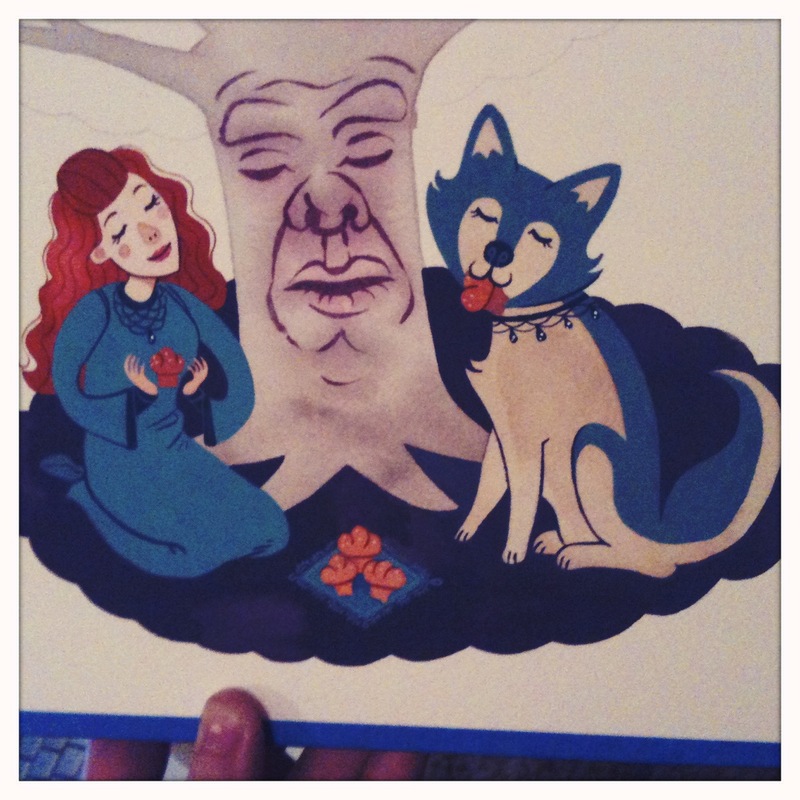 What I’m trying to say is, I like Sansa, and I did a cute little painting of her and her pet dire wolf, Lady. You guys, that tree took forever. There’s like, four layers of paint on that bad boy. 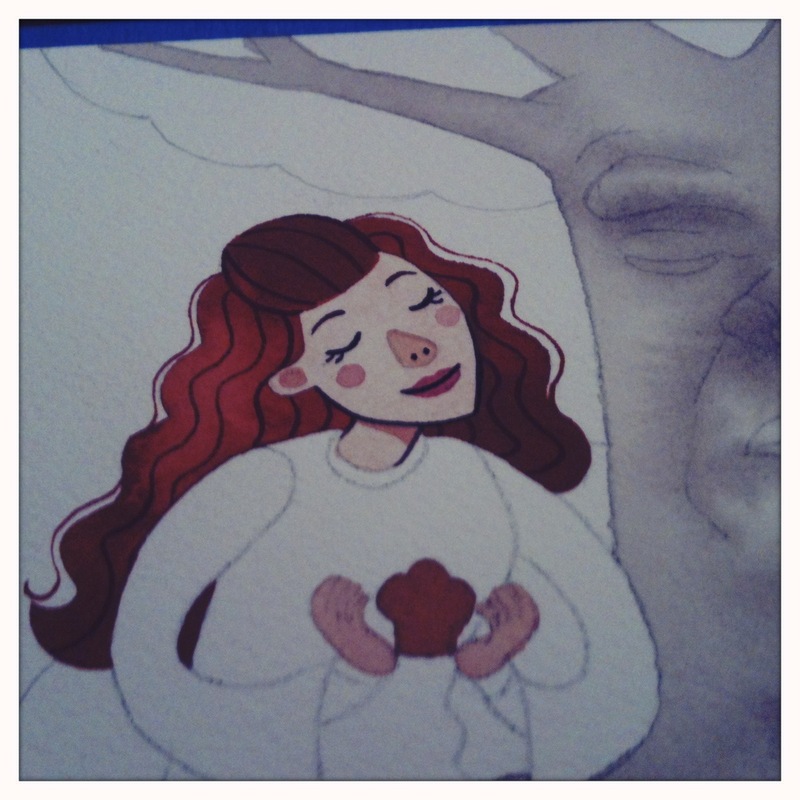 You can see how he started off very soft and painterly. 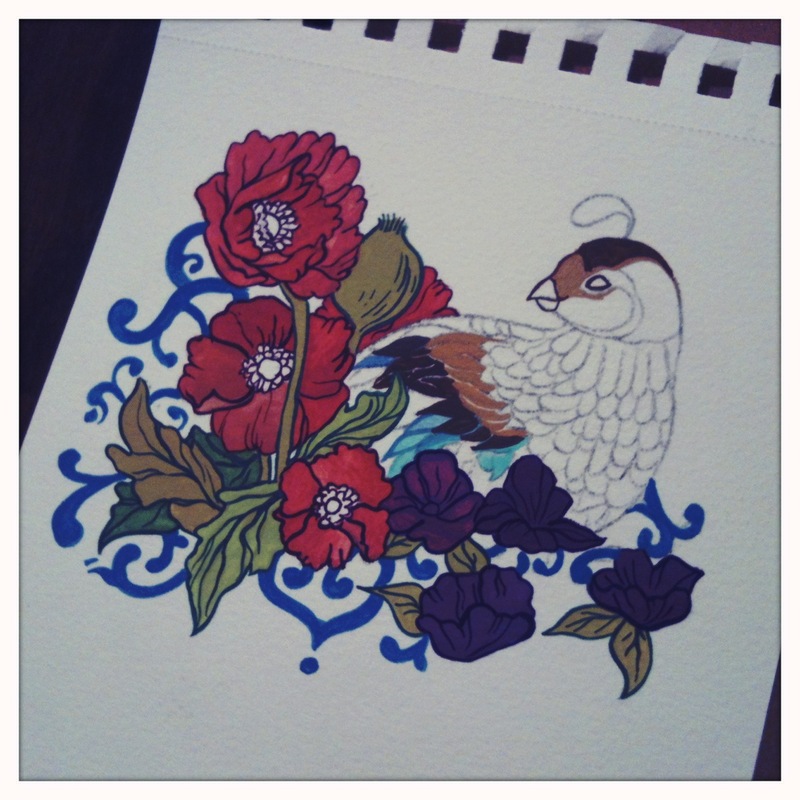 But that didn’t really fit the rest of the painting. 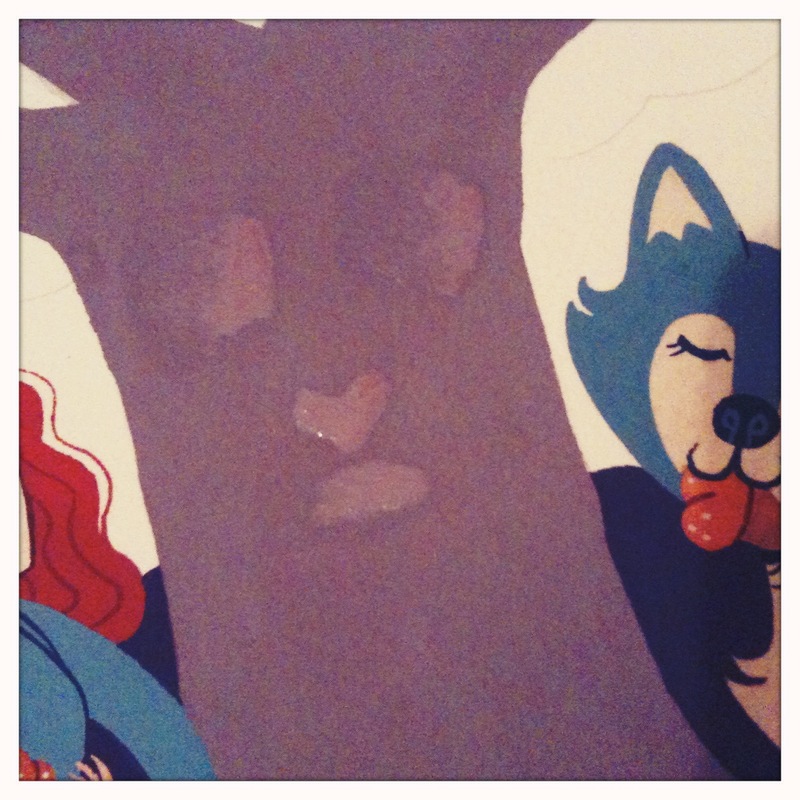 Now I’ve painted it over, but the face didn’t look right! So here I’m waiting for the cover-up of the 2nd failed face to dry. 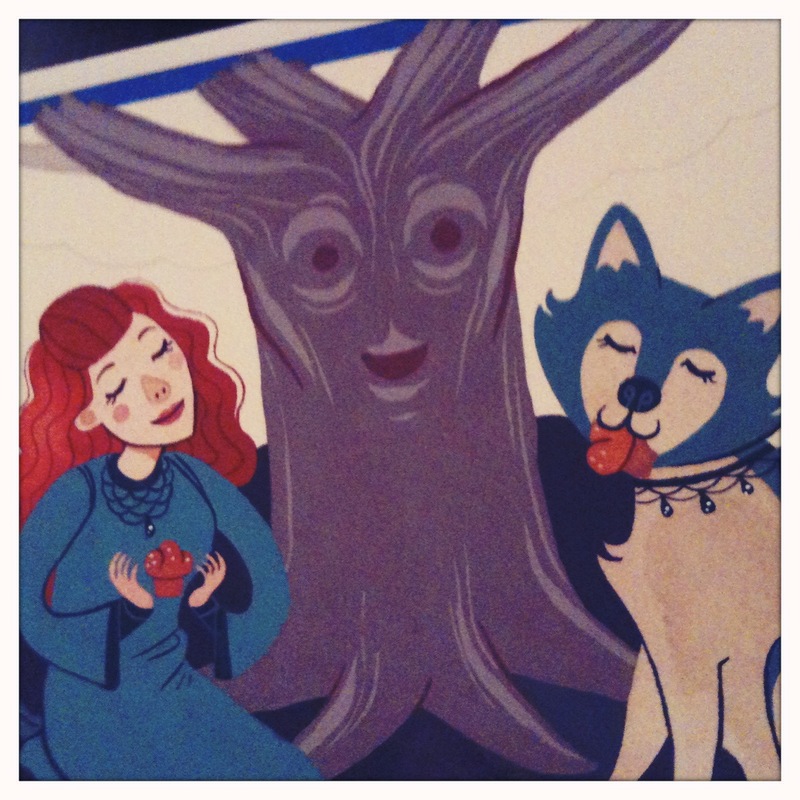 I like Sansa, too! She’s smart and brave and doing what she needs to to survive and hopefully kill that slimy little creep, Joffrey. Haha, maybe there needs to be a Sansa Appreciation Club! Sansa has definitely grown on me… I really couldn’t stand her in the first book, but now that I’m through the third and into the fourth I like her a lot more. And I love your painting! 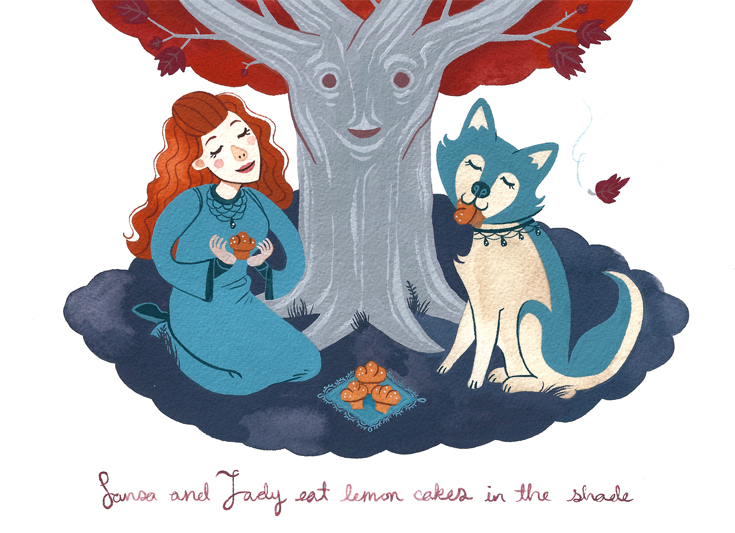 Sometimes my friends and I talk about the alternate timeline where Ned didn’t become the Hand and things weren’t super fucked up… and there, I would imagine Sansa and Lady enjoyed many lemon cakes. An alternate timeline discussion sounds pretty fun! About half of the people I know who are into GoT have only watched the show, so there’s always tons of tiptoeing around things in our conversations. I secretly hope Nymeria somehow comes back in Sansa’s storyline. It would be bittersweet, for them to cross paths again.